Chic Family Travels loves to travel but we also love home! We live in Fairhope Alabama where one of the finest resorts in the south is located, the Grand Hotel. The Grand Hotel in Fairhope/Point Clear just built and opened a new component of its resort called Lakewood at the Grand or the Colony. I am not sure of the technical term because the locals call it the Colony and the Hotel calls it Lakewood at the Grand. Oh well….I digress. One of our favorite summer past times is to night swim at the Colony and have dinner at the Sweetwater cafe. The Colony at the Grand boasts one of the best pools that I have seen in our travels and it is even prettier at night. The fountains light up with brilliant rainbow colors making the evening magical while enjoying a dinner at the Sweetwater cafe on the porch overlooking the pool and lake. 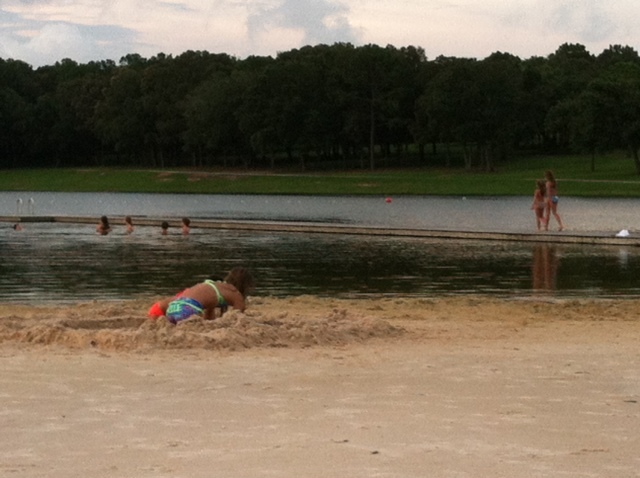 The Colony at the Grand or Lakewood at the Grand (take your pick), also built a huge swimming lake with a sandy beach. Our kids LOVE to jump off the pier and swim in the lake. They even have kayaks, paddleboards and other water activities for the whole family. This makes the colony pool almost as cool as the original pool at the Grand Hotel on the Bay. Not quite, but ALMOST! 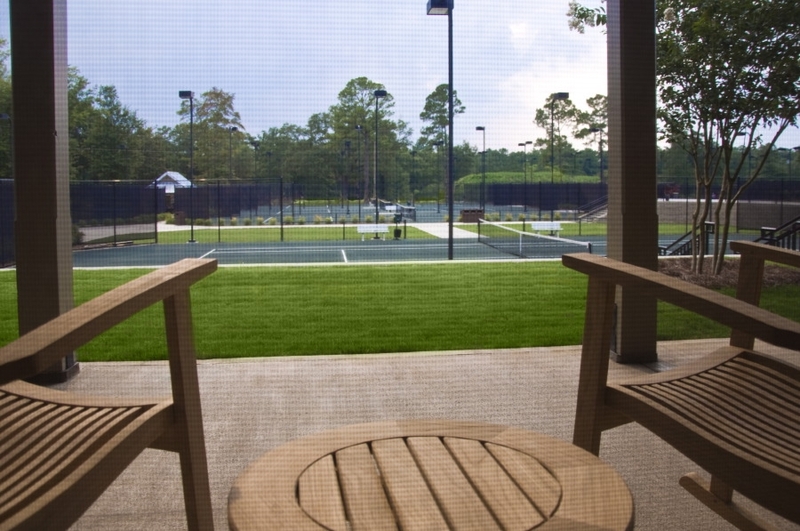 If tennis is your thing, then you can beat the Grand Hotel’s tennis facility. Enjoy a glass of ice tea or a mint julep from your rocking chair while watching tennis at the Grand Hotel. If you would like to stay at the Grand Hotel in Fairhope and experience all it has to offer, email Chic Family Travels to make your reservations! We know the best rooms and can give you a tried and true itinerary for the ultimate southern family vacation. ← Summer Deals at the Historic Breakers in Palm Beach !